You might be wondering why I’m writing a post about Sony a6000 lenses. After all, there are many other great Sony mirrorless cameras with interchangeable lenses… so why write a post that focuses specifically on the best lenses for the Sony a6000? The answer is quite simple – the Sony a6000 is widely regarded as the best selling mirrorless camera of all time. That’s quite a statement, considering its more recent successors, and all the other amazing mirrorless cameras available in 2019. With so many happy owners around the world, it’s only natural that there’s a lot of interest about lenses for Sony a6000 owners. The Sony a6000 is excellent value for money. It can easily stand head to head with more expensive DSLR cameras, with impressive performance and handy portability, all available for under $500 (see the latest price here). Recently I was fortunate enough to borrow a selection of Sony E-Mount lenses to test with my Sony a6000 camera. What Lenses are Compatible with the Sony a6000? The Sony a6000 uses standard E-mount lenses (as opposed to full-frame FE lenses), originally designed for the Sony NEX (‘New E-mount eXperience’) series of mirrorless cameras. 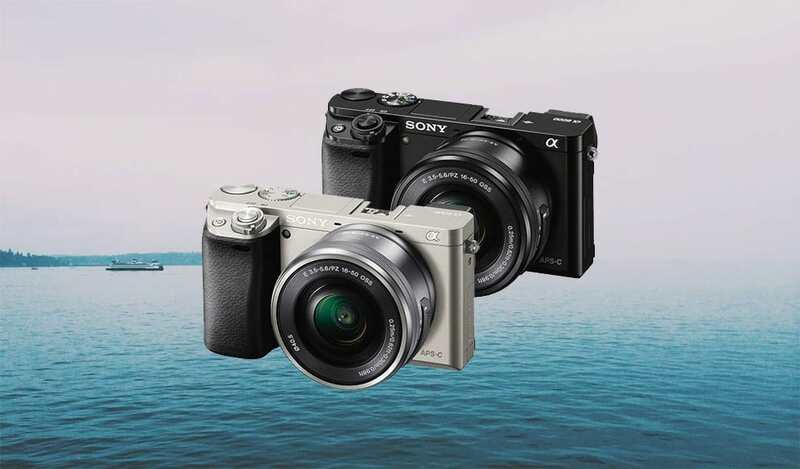 The Sony a6000 was actually the first of the new breed of E-mount cameras to lose the NEX branding, even though it still looks much like its NEX predecessors. 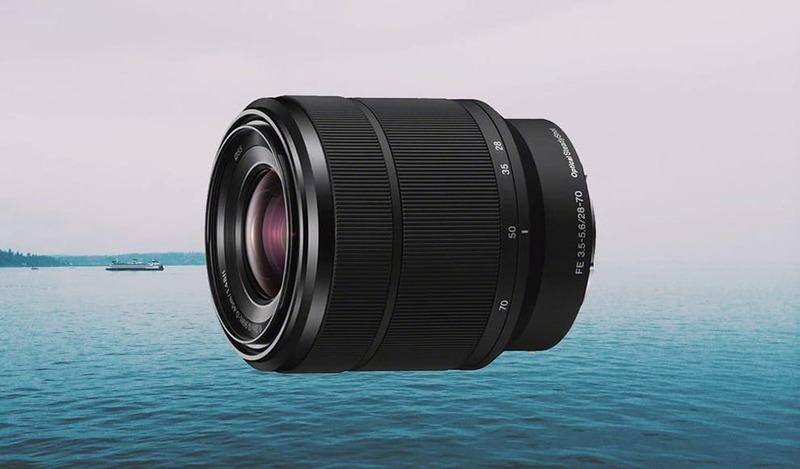 There are more than 40 Sony E-mount lenses in production (far more than the number of Fujifilm lenses), giving Sony a6000 owners a great selection to choose from, with more being added each year. If you see a Sony lens that contains an ‘E” (as opposed to an ‘FE’), this means that it’s been designed for their APS-C sensor range of mirrorless bodies – i.e. the Sony alpha a6000, and all the other a6xxx series cameras. 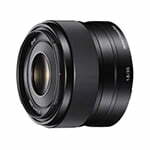 Sony ‘FE’ lenses on the other hand cover the entire 35mm frame of a full frame camera, and as such, can be used on the entire range Sony mirrorless cameras, even the Sony a6000 (at a 1.5* focal length multiplication). It’s generally advisable to take advantage of lenses made specifically for the APS-C sensor (i.e. Sony ‘E’ lenses). However, occasionally it does make sense investing in an FE lens, even if you own the Sony a6000… as you’ll see in my lens recommendations below. So here’s my selection of the 5 best lenses for the Sony a6000. You can use it as a guide for recommended Sony lenses for any of the other APS-C E-mount mirrorless cameras, but I’ve concentrated specifically on those that perform well with the a6000. To add some variety to my recommendations, I also reviewed a selection from the competitively-priced non-Sony-branded lenses, which work well with the a6000. I’m a big fan of prime lenses and recommend them to all level of photographer. They’re the quickest way to get better at composition, simplifying the picture taking process by removing the variable of multiple focal lengths (as offered by zooms). Don’t get me wrong, zooms have their place in photography. However, I believe every photographer should have at least one small, fast prime lens… and for Sony a6000 owners, this Sony E 35mm f/1.8 OSS lens is it. If you own a mirrorless camera as small as the Sony a6000, it seems silly to put an enormous lens on it. Paired with this dinky 35mm lens, the camera will be a pleasure to shoot, and still fit into a jacket pocket – something DSLR camera owners can only dream of (see my mirrorless vs DSLR buyer’s guide). On the cropped sensor (APS-C) Sony a6000, this lens will give roughly a 50mm field of view, which is ideal for a whole range of subjects. 50mm is a popular focal length since it gives an un-distorted view of the world, and can be flattering for portraits, without making the subject feel detached like a longer lens can. By ‘fast’ prime lens, I mean that the lens aperture (as represented by the f-number) is wide enough to allow faster shutter speeds and lower ISOs in low light. In other words, the f/1.8 of this Sony 35mm f/1.8 lens will allow you to take photos with the Sony a6000 in low light without a flash, much easier than with a ‘slower’ lens such as the kit lens that comes with it. (The smaller the f-number, the larger the aperture). An aperture of f/1.8 also means that you’ll be able to get that coveted blurred background look that really separates lesser cameras. Sure, your iPhone ‘portrait mode’ may be able to do something similar, but the process is much slower with the mobile phone and it’s fancy A.I. As for image quality, the Sony 35mm f/1.8 lens delivers images that simply aren’t possible with the kit lens that comes with your camera. Sharpness is impressive at f/1.8, and continues to improve to around f/4 where the sharpness and overall contrast excels for a lens of this price. On the topic of price, at around $400 (see latest price here), you may hesitate, especially as a lens for the Sony a6000 which only costs slightly more! However, a camera is only as good as its lens, and by investing in the Sony 35mm f/1.8, you’re really making the most of your a6000’s abilities. The ‘OSS’ refers to Optical SteadyShot (image stabilization), a feature that is rare on prime lenses. In combination with the fast f/1.8 aperture, this makes the lens excellent for low light shooting, allowing you to keep the ISO of your Sony a6000 as low as possible to create noise-free images. 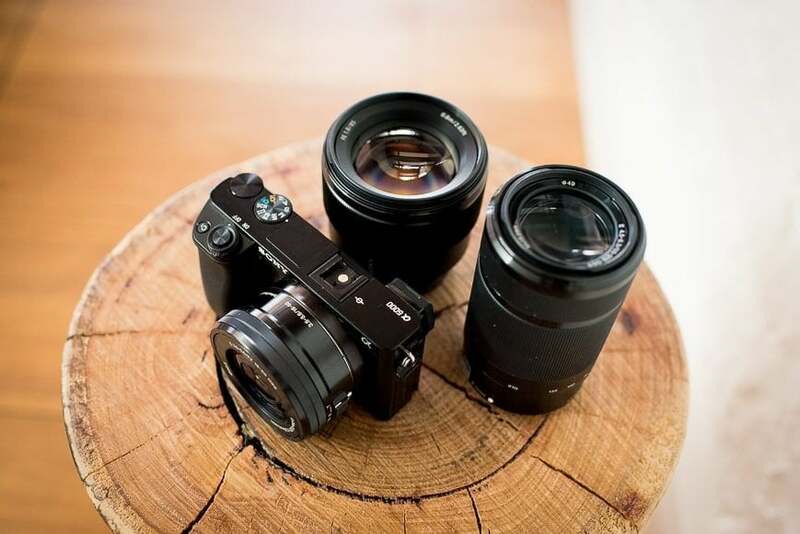 All in all, the Sony 35mm f/1.8 lens is the best prime lens for Sony a6000 owners who a small and lightweight setup with excellent optical performance – it’s in many respects the perfect travel camera/lens combination. Highly recommended! The Sigma 60mm f/2.8 DN is the best portrait lens for the Sony a6000. With an APS-C equivalent focal length of 90mm, your subject will look in perfect proportion, with their features compressed like reality (as opposed to distorted by a wide angle lens). Medium telephoto focal lengths such as this one allow you to stand about 6 foot away from your subject and still fill your viewfinder’s frame with their head and shoulders for a flattering head shot. Does that mean this Sigma is only suitable for portraits? Not at all – it just means that you’ll need to be able to stand back far enough to fit everything into your frame. Telephoto lenses can be used for landscape photography to provide beautiful compression of the scenery, making background mountains appear closer to a foreground element, for example. Despite being solidly built, the Sigma 60mm f/2.8 DN is actually rather light, making it another ideal prime lens companion for your Sony a6000. Being lightweight also means focusing is silent and completely unobtrusive – something that the video shooters will appreciate. Images taken with the Sigma 60mm f/2.8 DN are incredibly sharp and contrasty, with vivid colours straight out of camera. The f/2.8 aperture combined with the focal length delivers beautiful, creamy bokeh which will help separate your subject from the background. There’s no noticeable vignetting, distortion or chromatic aberration… basically this means that your photos will look pretty darn good, with no fiddling necessary afterwards in Lightroom! As for the price, well at a little under $250 (see latest price here), this impressive little lens is by far the best value lens you can attach to your Sony a6000 – you’ve gotta love cheap camera gear that performs as well as the more expensive stuff! Note that this lens is also available with a different mount for micro-four-third cameras, so be sure you select the correct one for your Sony a6000 when ordering (check the box marked ‘Sony NEX’). It’s also available in black or silver. The ‘FE’ as opposed to ‘E’ in this zoom lens’ name refers to the fact that this is actually a lens meant for full-frame Sony E-mount cameras. It actually comes bundled as a kit lens with the Sony a7 camera. So, why am I recommending it here as one of the best Sony a6000 lenses? Normally I wouldn’t recommend purchasing any expensive lens made for full frame cameras to use on a cropped sensor body like the Sony a6000. However, with this Sony FE 28-70mm f/3.5-5.6 OSS the rule book goes out the window. At less than $300 (check the latest price here), this Sony zoom lens is an absolute bargain, and perfectly suited to the Sony a6000. It also means that if you ever decide to upgrade to a full frame Sony, you’ll already have your first great lens waiting in your camera bag! 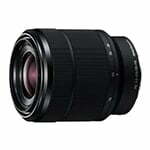 The 40-105mm equivalent focal length makes the Sony FE 28-70mm f/3.5-5.6 OSS particularly useful for subjects that change distance frequently, such as when photographing children, or for sports photography. Using a full frame lens on a cropped sensor camera basically means that the edges of the lens won’t be in use. On wide angle lenses, this ‘missing width’ may be an issue, but on longer lenses such as this one it doesn’t really matter. As an additional bonus, in using the Sony FE 28-70mm f/3.5-5.6 OSS on a Sony a6000, you’re actually ‘cropping’ the edges of the frame, thus eliminating any edge softness that may have otherwise existed on a full frame camera. Make sense?! The image quality is impressive as can be expected from a lens that’s meant for pro-grade full frame cameras. It’s sharp, contrasty and produces great bokeh – more due to the focal lengths at which you’ll be shooting as opposed to the aperture. On the topic of aperture, you won’t be shooting much after dark without a flash with f/3.5-5.6. However, I do appreciate the inclusion of Sony’s excellent Optical Steady Shot that compensates for the minor hand movements that are particularly common when shooting at longer focal lengths, and can cause blurred images. Another nice feature of the Sony FE 28-70mm f/3.5-5.6 OSS is weather-sealing, but unfortunately you won’t be able to take advantage of this with the Sony a6000 which doesn’t offer it. However, a weather-sealed lens also means that it’ll be built to last, no matter what camera body you attach it to. If you’re looking for a great zoom lens for your Sony a6000 at a bargain price, look no further than this little beauty. After adding a small fast prime and a telephoto zoom to your Sony E-Mount lens collection, the next one you’ll want in your camera bag is a wide-angle lens… or in this case, an ultra-wiiiide angle lens! 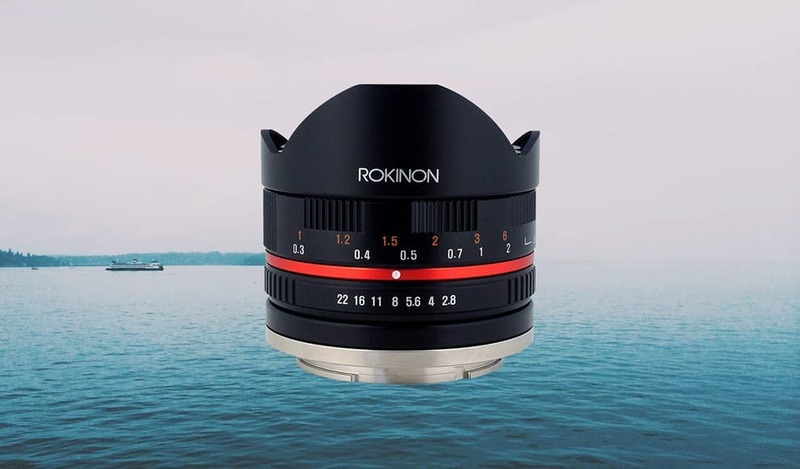 The Rokinon 12mm f/2 NCS has been made especially for mirrorless cameras (be sure you get the correct one for the Sony a6000 here). For a wide angle lens to remain wide angle on a cropped sensor body like the a6000’s, it needs to be truly WIDE. 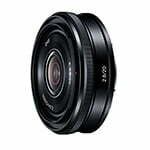 With its equivalent 18mm field of view, you can create some really compelling, immersive images with this fun lens. The obvious use of wide angle lenses is to shoot vast landscapes, but another usage is to tell more of a story in one image by including a foreground element, and multiple background elements. At 18mm you can place a subject in the centre of the frame (to minimise distortion), and still have enough ‘room’ around them to show their environment – it’s a skill, but a great way to really improve your photography. 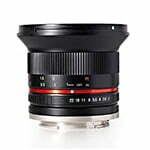 One thing to note is that the Rokinon 12mm f/2 NCS is a manual focus lens. Normally I wouldn’t recommend lenses that you need to twist yourself to focus, but with a wide angle lens, it’s excusable since so much of the image will fall into focus without much fine-tuning – any objects from about 2 metres away to infinity will be in focus simultaneously. With an aperture of f/2, you can use the Rokinon 12mm f/2 NCS in lower light too without needing to bump up the ISO of your Sony a6000. Another advantage of wide angle lenses is that small movements when photographing aren’t as noticeable in the final image, meaning you can also benefit from slower shutter speeds without needing to raise the ISO. Sony offers several wide angle lenses, but none of them are as affordable, nor as fast as this one from Rokinon. Part of the price difference is admittedly due to lack of motor to power any AF, but also the cost-saving is due to the brand name itself. Sad but true. As for image quality, the Rokinon 12mm f/2 NCS really impressed me for a lens of this price. Images are sharp and rich in colour and contrast, with surprisingly low distortion. Zooming in to your images reveals just how sharp the details are resolved, particularly in the centre of the frame. Some photographers completely discount this lens when they read the words ‘manual focus’, but I really recommend that you give it a second thought. Spending almost twice the price on an alternative with AF just doesn’t make sense to me, especially when the focus on wide angle lenses like this is so forgiving… and the quality of the Rokinon 12mm f/2 NCS is so impressive. If you want to create images that include more of the surroundings and tell more of a story in every click, this is my recommendation of the best Sony a6000 wide angle lens. I love ‘pancake’ lenses and wish that Nikon made one (I’d definitely include it in my roundup of the best Nikon lenses if they did!) Canon has one (reviewed here), and now Sony does too thanks to this little gem of a lens. At only 69g (0.15 lbs) and barely thicker than a lens cap, the Sony E 20mm f/2.8 is a great combination with the Sony a6000, or any cropped sensor Sony mirrorless camera in fact. Having a smaller, lighter and more pocketable camera isn’t just for portability’s sake though – you’ll be much less obtrusive and noticeable when using this combination, meaning more candid photos and a subject who’s more at ease. For these reasons, it’s no wonder that the Sony E 20mm f/2.8 is such a popular lens for traveling and for street photography, where remaining incognito is paramount to a truly candid shot. The 30mm equivalent field of view also lends itself well to run-and-gun style shooting on the street. There’s a little distortion, and images could be a bit sharper when shot wide open at f/2.8, but stopping down your aperture to around f/5.6 yields better performance. As with other pancake lenses, the Sony E 20mm f/2.8 isn’t renowned for delivering stellar image quality. It’s more a popular lens for photographers who put a priority on keeping their small mirrorless cameras… small. I fall into this category, since I know that any issues with sharpness or contrast can be largely fixed after the fact with one click in Lightroom. Having a tiny lens on the end of my Sony a6000 really makes using it more of a pleasure than any other more capable lens might. 35mm on a full frame camera is my preferred focal length since it’s just so versatile. Using the Sony E 20mm f/2.8 took a little getting used to (that ‘extra’ 5mm is more noticeable than I expected), but it’s still ideal for almost everything I need to shoot in an average day. 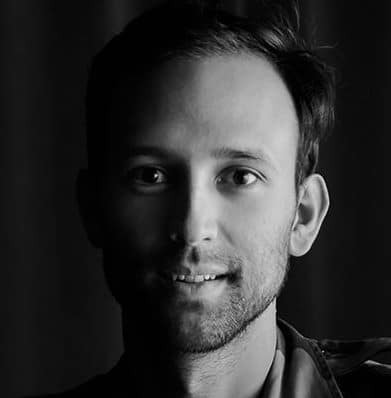 Obviously, for purely flattering portraits, something like the Sigma 60mm f/2.8 DN discussed previously would be better. If you’re looking for a good value lens that will make your Sony a6000 feel exactly as it’s intended, look no further than this. Yes, there are certainly Sony lenses that perform better optically, but none of them can be mistaken for a camera lens cap! The Sony a6000 is widely regarded as the most popular mirrorless camera of all time. In this roundup of what I consider to be the best Sony a6000 lenses, I’ve concentrated on those that I feel reflect the price of the a6000 itself. It seems counter-intuitive to me to buy a camera that’s around $500, then spend 2 or 3 times the amount on a lens. I also tried to stick to lenses that won’t look and feel ridiculous on the small bodied Sony a6000… although at times (with zoom lenses), this was difficult to achieve. 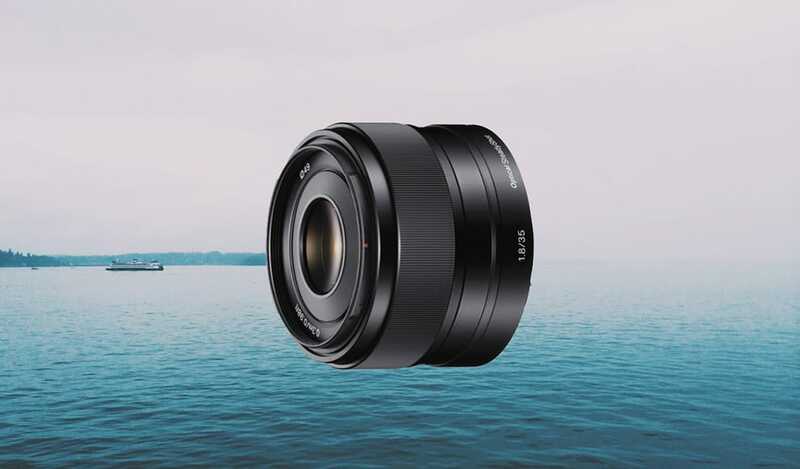 Sony created the E-mount lens line-up specifically for its mirrorless cameras, and in doing so, created lenses that all function very well on cameras like the Sony a6000. 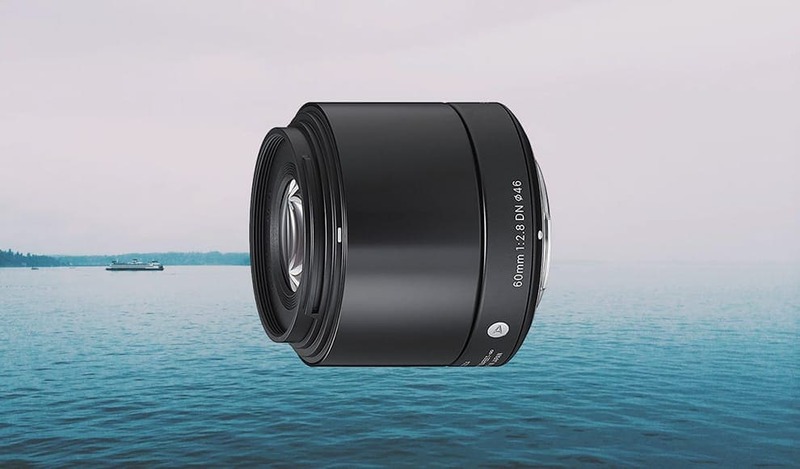 If you look at the reviews of any of the Sony E-mount lenses, you’ll see mostly 4 or 5 stars, from thousands of happy users. Hey Mark! Thanks for this article. I’m new with the a6000 and have the 18-105mm e mount f4 lens. I want to capture some sharper quality landscape shots. Will be going to Iceland soon and wanted to possibly get a prime lens that takes good landscape shots. I’m leaning towards the 35mm (1st pick you have listed). I feel like I have a good lens for landscapes and outdoors but not great for low light areas. I guess I just need a good suggestion for a prime lens with a lower aperture that pairs well with the lens I have. Can you suggest one that’s priced under $500? Hey Jehan, I’d go with the one you mentioned that I recommend – it’s definitely worth the money. Your 18-105mm will still be fine, as long as you have a good tripod (some affordable ones here) – just shoot with a longer shutter speed at lower ISO, and your shots should be sharp. Does that help? Hi Mark, thank you for all this information! I’m getting ready to purchase an A6000 and am very new to photography. Which lens would you recommend for everything as I am just getting started? I’m looking to do mostly portraits, indoor and outdoor, family shots and landscaping? Is there one that will be a good starter for now? Hey Ashley, as long as the locations where you do your indoor shots are well lit, the Sony FE 28-70mm f/3.5-5.6 OSS offers good flexibility. Once you’ve shot with it for a while, I’d recommend one of the prime lenses in this list, to take advantage of a faster aperture. Hope that helps! Thanks for the recommendations. I purchased the Samyang 12mm f2.0 (same as the Rokinon 12mm) after reading this review. The lens works perfectly for landscape and night photography. Being an inexperienced photographer I was a little nervous using a ‘MF only’ lens but the lens really is forgiving when kept focused to infinity. The lens also works well taking photos in tight spaces (with the help of Lightroom to remove some of the distortion), and being light and compact it was very easy to carry through museums/buildings while travelling. Couldn’t be happier with the lens! Thank you very much for this useful information. I own a Sony A6000 and would like to buy a lens to use for family phtotography, portraits, and travel. Is there one lens that is great for these for purposes or should I buy two? Thank you! Hi Estrella, thanks for the comment. I’d recommend you get the 28-70 I recommended here – it’s a flexible zoom range that will be useful for your family photography, portraits and travel. If you have the budget, it would be great to also get this one, which will be better in low light/indoors where the light isn’t as good. I hope that helps! Hi Mark – I’m interested in shooting interiors for my blog. I’d like to be able to capture clear & crisp images of full room as well as be able to photograph smaller scale vignettes. Is there a particular lens that you would recommend? Hey Ali, a wide angle lens is essential for interiors, so the Rokinon would be good for that. WHat do you mean by ‘smaller scale vignettes’? Very new to the photography world. I used a Canon DSLR before buying my Sony A6000. I take photos at fashion shows and wondered what lens would give me good sharp pics in low lighting that highlights only a runway? I would like it to Be able to pick up the details of the clothing on the model if possible. It’d need to be something fast (large maximum aperture) and long (85mm+). If you’re ready to invest in a great lens, I’d recommend this one – it’s actually a full frame lens, but will work well on your a6000, and give you about 125mm of reach. Depending on how close you are to the runway of course, this lens should be long enough for your needs. I am a big bokeh fan and mostly into street photography and wide portraits. Would the Sony E 20mm f/2.8 be a good lens for this purpose ? Or the 35mm lens would be better. Keeping the budget constraints in mind . Hey Mehak, sure thing! I’d go for the 35mm then, even though it’s not as wide as the 20mm, obviously. As you said you’re a fan of bokeh, the slightly longer focal length and faster aperture of the 35mm would create more out of focus areas. If you really do need the widest lens for your portraits, get the 20mm and just get closer to your subject to create more bokeh. Hope that helps! I have the Sony A6000 camera and the 55-210 lens. I always want to get ‘closer’ to my subjects (birds, wildlife, waterfalls in the fall distance…). A friend just recommended the Sigma 15-600mm lens. It looks really good. But, the camera store just told me it wouldn’t be compatible with my Sony. Do you know if this is true? Do you have a recommendation for an excellent high-zoom lens? Thank you. Hey Dani, if you mean the Sigma 150-600mm (this one), it’ll only work with an adaptor such as this one. It’s a great combo, but I’d recommend you use it with a tripod in low light. Cheers! Hi, I have an a6000 kit with 16-50/f3.5-5.6. It is generally good but items in distance never seem sharp , day or night even with tripod. I’m not sure if this is the limit of camera or lens. Also, if I want to get a better lens for close portraits (not standing people 5 meters away) what is a good lens? I’m not 100% sure without knowing other variables Mario, but using a prime lens with a fixed aperture will help a lot. The one I recommend at the top of this article would be good for portraits (here). Great lenses, but I think your recommandations need a major update! 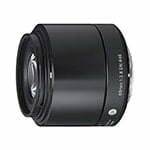 I’m thinking the Sigma recent series for E mount APS-C even recent Sony APS-C E mount! I’ll be adding to the recommendations here very soon, Claude! I really like your reviews, I recently bought an a6000 and I need to get going learning and discovering this fascinating world. Thanks Samuele! Yeah, get stuck in with your a6000 – it’s a great little camera! Thanks for your helpful reviews. I am about to buy an a6000 and trying to decide on a lens. Which would you recommend for travel photography? Particularly hiking landscapes and outdoor shots, but also to take photos of people/local sights. 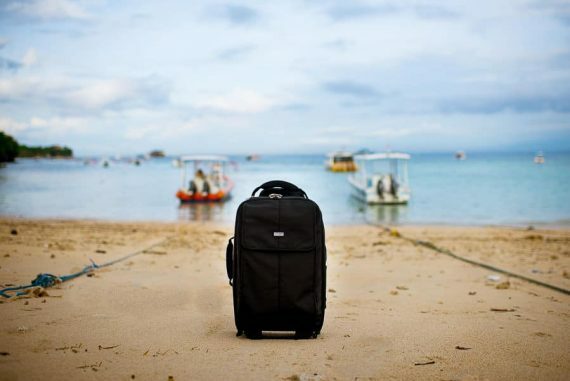 Hi Alexandra, I’d go for this one which is great for travel photography – lightweight, small and a versatile focal length. Hope that helps! The article was great, I am a Nikon user gone Sony for both leisure and professional work. I am slowly making the transition into light equipment for working with. I was hoping you could suggest a good wide angle lens for the alpha 6000 for interior photography. I am use to working with a 10-22mm for this but wasn’t sure if thats my best option with the Sony. What are your thoughts/suggestions. Hi Elizabeth! Thanks for your comment :-) For interior photography, manual focus lenses aren’t usually an issue since the subject is static, so I’d recommend you look at the Rokinon 12mm mentioned above (see here). ‘Oh Hi Mark’ (The disaster artist(J Franco)). Thanks for this great piece on the a6000, echoing others, just what I needed. I am a newbie (I bought a DSLR Pentax *ist DS 6MP, with an 18-125 lens back in the day when it won the best entry level DSLR), I always meant to buy lenses never did etc. I will most likely buy the a6000 or may (big ? mark) stretch to the a6500, Which lens should I be looking at if I want to shoot mainly wide angle with a small amount of Zoom, I also tend to shoot in low light and would love to be able to video in low light also (hosting the family xmas eve party this year… yeah!). I really want something a little versatile as I know I may end up not buying a second lens. Thanks Marv. We’ll be publishing an indepth review of the a6500 soon, so you may want to hold out for that. The 28-70mm should be fine for you – wide angle to telephoto. Great review, thanksMark! I have the Sony 50mm but am looking for something more practical for shooting my kids indoors. Did you happen to compare the sigma 30mm 1.4 or 2.8 to the Sony 35mm? Thanks Tara! I haven’t done a direct comparison yet, no, but the Sigmas I’ve used on my Nikon are always on par with the Nikon alternatives, so I’m imagining it’s a similar case with Sony too. Your articles are wonderful and have been a great resource. I’m looking to buy the a6000 body alone and will buy lenses separately. I’m definitely interested in purchasing the 35mm f/1.8, but do you have any recommendations for your favorite lens for astrophotography? Thanks Cecilia! My pick would be this one due to its compact size, but you could get away with a kit lens at the wide end too. Thank you for sharing your awesome list! I am definitely more excited to use my Sony a6000 knowing there’s plenty of lenses I can choose from. Really, the good thing about mirrorless camera is they’re compact and lightweight, also their lense are, likewise, compact and lightweight. 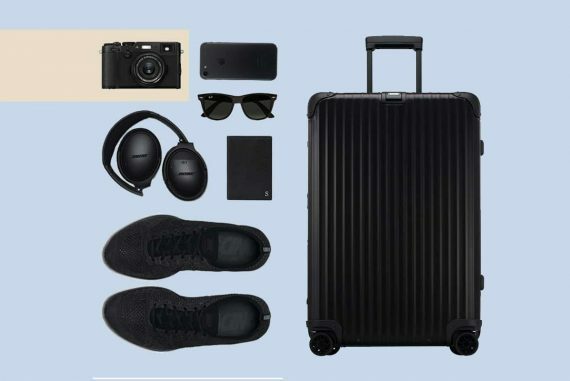 Perfect for travelling light. Yep, the 35 would be a better bet I think Deion. We’re interested in the a6000 camera body. Can you give me an idea of a good “general purpose” lens to take pictures of our soon to be here baby? Something that can be used for both inside and outside pictures? Thanks Mark. This was so very helpful. This gives me a great place to start. What are your thoughts on the Sigma 19mm f/2.8 vs the Sony E 20 mm f/2.8? Regarding the FE 28-70 lenses… when this is used on a cropped frame camera of 1.5, then the effective fstops have to be multiplied by 1.5 also, and you also loose pixel density. I’d prefer the 16-70 E-Mount f4 lens anyday. Great! It’d make the camera very unbalanced but can be a good combination if you need the reach. Wow, you have no idea how much this article helps! Any thoughts on the Sigma 30mm f1.4 contemporary lens? haha glad to hear that Albeartoe! That Sigma is a great lens – Sigma have great optics and can compete with the bigger brands, but for more affordable prices. f/1.4 will help a lot too in low light. Hi Mark, thoroughly found your articles on the Sony A6000 useful. I’m thinking of getting one! What’s your opinion on Sony SEL50F18F lens if I like taking night shots/photos in low light? As an alternative in case my budget can’t afford the #1 lens you recommended in this list. Thanks. Hi Angeli, thanks for the comment and so glad you found this useful. If this 50mm is the lens you mean, yes it’s great for low light (being f/1.8). The only small concern is that it’d be the equivalent of an 85mm field of view, which may restrict you depending on how much room you have to ‘back up’. If you’re outside or in a big room, it should be absolutely find though :-) Good luck! I have had the 50mm for two years, amazing, you won’t have any buyers remorse. Sharp at 1.8 and it can practically see in the dark. Using it for video, though, can be challenging because there is an additional crop. Thanks for the useful tip Paul. Yep, 50mm (~85mm) would be challenging if you can’t move far enough backwards to frame your shot. Hi Mark. Great article by the way. I’m still struggling with lenses though. I already have the sony a6000 body, plus the fantastic prime lens 35mm 1.8, which I’ve been using since I got the camera. The problem is that sometimes you cannot reach the desire subject with that lens, so I thought on buying a zoom lens, but can’t decide on which one yet. Since there are so many different opinions on this matter. Any help would be greatly appreciated. Regards from Argentina! Hi Pablo! Wow great, a reader from Argentina! For zoom lenses, there are a few good ones available. Is there any reason you don’t like the 28-70mm recommended here? Let me know what you need out of the lens and I’ll see if I can help. Glad to hear it Stephen! What will you comment upon Sony 55-210 zoom telephoto lense? Is it a good zoom lense for a beginner photographer? It’s ok but that focal length isn’t very useful for anything that’s closer to you. Thank you for this article, it was exactly what I was looking for! I am trying to narrow down to one or two lenses. I plan to use it for travel and enjoy taking some landscape and scenery shots, but also love taking more up close and portraits with blurred background. Is there one that does both? Or which two would give me the best variety? I think have it narrowed down to the 20mm, 35mm or the Sigma 60mm. Am I on the right track? I appreciate your help! I’d got for the 20mm there Michelle since the focal length gives the most flexibility for your needs. Fascinating. I’m a first time camera buyer. I just got back from the store comparing Rx100iii, a5100, and a6000 after previously researching for 2 weeks! I was ready to go a5100, and then rx100iii in that order but after trying them, I gotta have the viewfinder (disqualifies a5100) and the rx100iii is….TINY! I mean there’s portability, which I want, but it’s microscopic. Also the a6000 (with retracted lens) was smaller than I’d expected. Anyway I’m looking for a camera for noticeably better night photos than iphone 6 and for some sort of noticeable minimal zooming compared to iphone 6. I do value portability, but also want the basic, minimal zoom capability and good night photos (relative to a phone–not relative to other high end camera). I mostly want to shoot graffiti, city monuments at night, random friends at parties, and occasional trail hike. I’m not a pro or student, this is completely casual. Would you suggest I go a6000 + Sony E 20mm f/2.8 instead of the kit lense, for what I’m looking for? TLDR: Can you zoom a Sony E 20mm f/2.8 pancake lense via a6000 body controls and can it shoot acceptably at night compared to kit? Hi Will, yes that’d be a great setup. No, you can’t zoom it as it’s a fixed focal length (20mm). So sorry, I didn’t read thoroughly and answered my own question. Do you recommend A) the 20mm lens + 60mm lens B) the 18-105 zoom lens for having the most variety of pictures? Thanks for your input. Im just starting out. Hey Carlos, no problem. I’d always recommend primes (the 20 +60mm), especially if you’re just starting out. Good luck! Are any of these specifically great for taking ones of people close up? Thanks! What lens would be the most versatile? I have one for portraits. But I’m thinking for traveling, people, landscape, sunsets, beaches etc. any help is appreciated! I’d go with this one Sara! Great! This one since its a much more versatile focal length. I am leaving Monday on an around the world trip. Tokyo, Shanghai, Bangkok, Sri Lanka, Oman, Dubhai, Cairo and Paris. Lucky you :-) Take your pick depending on what you want to shoot! Great article. I bought the sony a6000 with a E 4/PZ 18-105 G OSS for use shooting pets in action since it has a faster fps than my nikon dslrs. I *think* that is not as sharp as I would like for professional use but I know I need to practice with it more. Your thoughts? thanks! Hey Julie, thanks for the kind words. 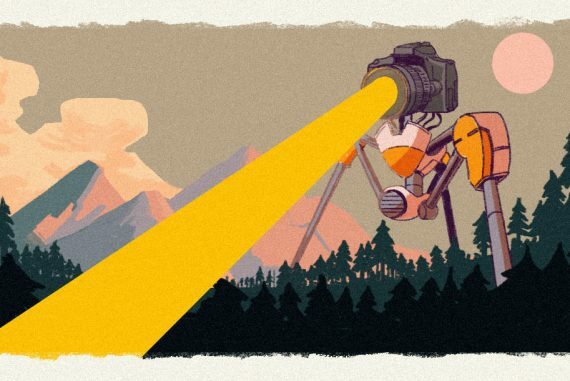 That’s a great lens – I think you’ll have no problems using it for pro work. 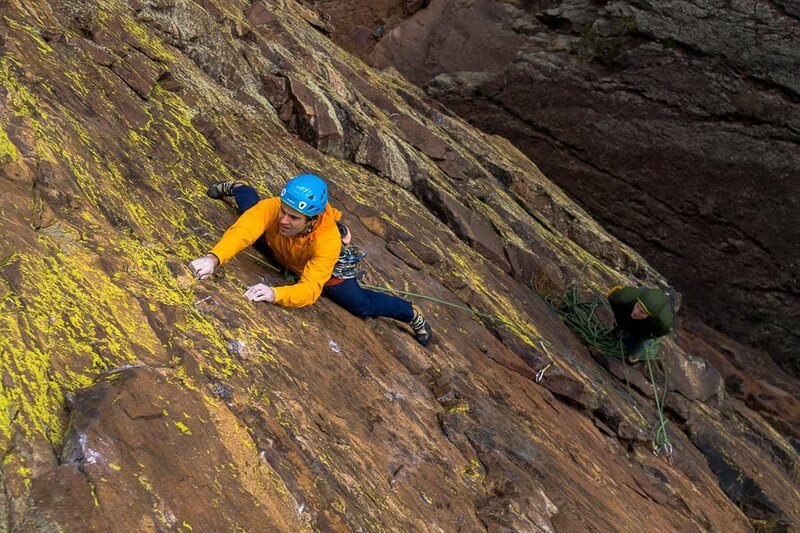 Any lack of sharpness can be corrected very easily in Lightroom, as long as the original shot isn’t blurry of course. Thanks for the recommendation Mark, very informative and useful for new starter like me. I’ve just bought a Sony a6000, what do you think of the Sigma 19mm f/2.8? Is it any good? 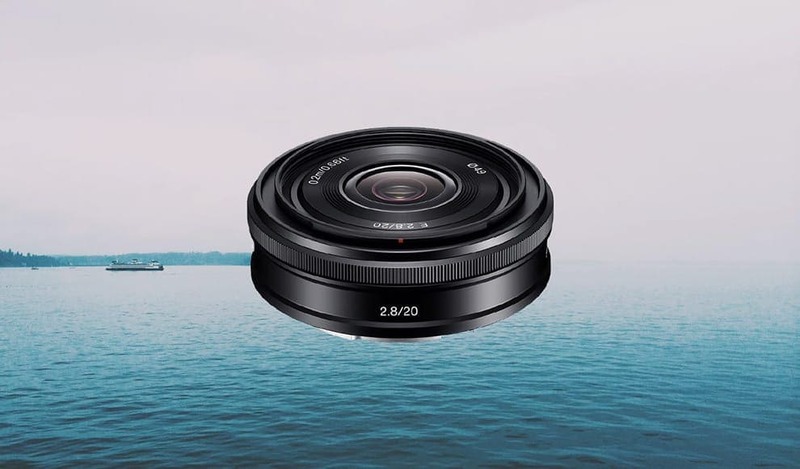 I saw online that many people recommend this lense, I have tight budget so I was thinking whether this is a good substitute for the Sony 35mm f/1.8. Thanks Brandon. Yep it’s a good lens – I almost included it here actually. The difference between f/2.8 and f/1.8 is noticeable though in low light, so if you don’t plan on shooting a lot after sunset or in poor lighting conditions, the Sigma should be fine. Well written and useful . Thanks! Glad you found it useful, Nandan.